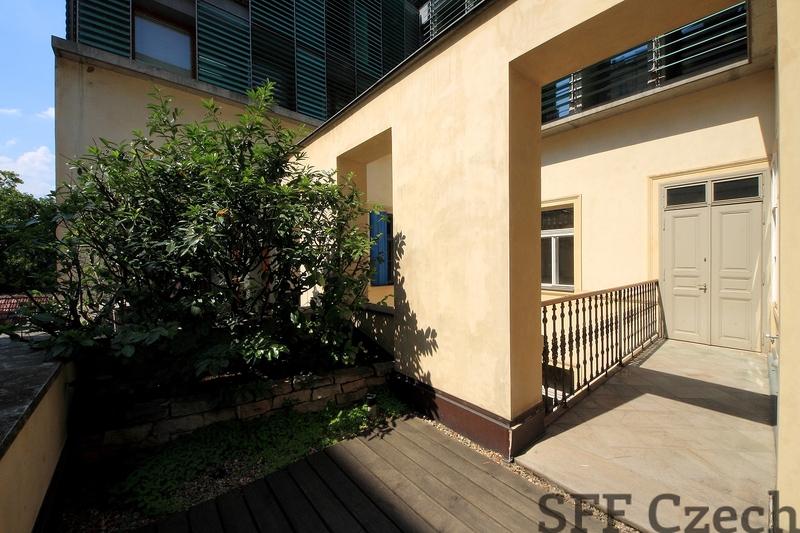 The long-term rent of a luxury apartment 3 + 1 of the size 121 m2 with a terrace of 16 m2. The apartment is located in the city center on the famous street Vodičkova just a few steps from the Wenceslas Square. 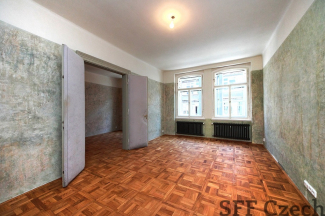 The apartment is offered unfurnished. 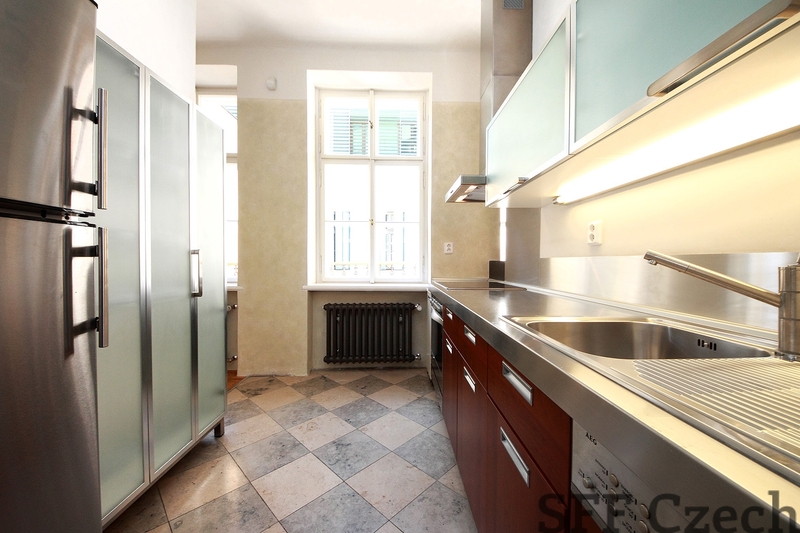 The kitchen is fully equipped. 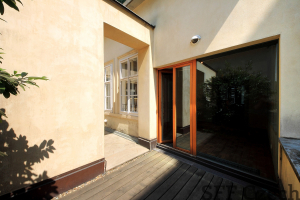 Other amenities: cable TV, telephone connection, internet, video intercom, fire alarm systems - burglar alarm systems, security entrance door, 24 hours reception. 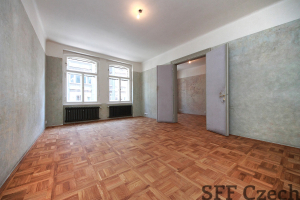 Rent: 38.150 CZK / month + charges: 6.990 CZK / month + transfer of el. energy to the lessee. 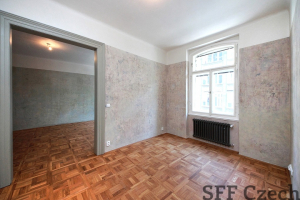 Deposit: 2 monthly rent equivalent ie. 76.300 CZK. 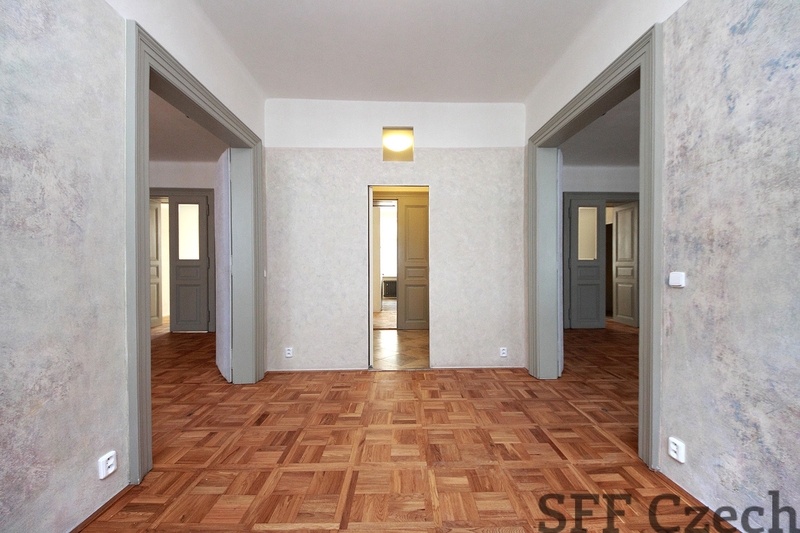 It is a modern comfortable apartment in a restored building from the original 1870. 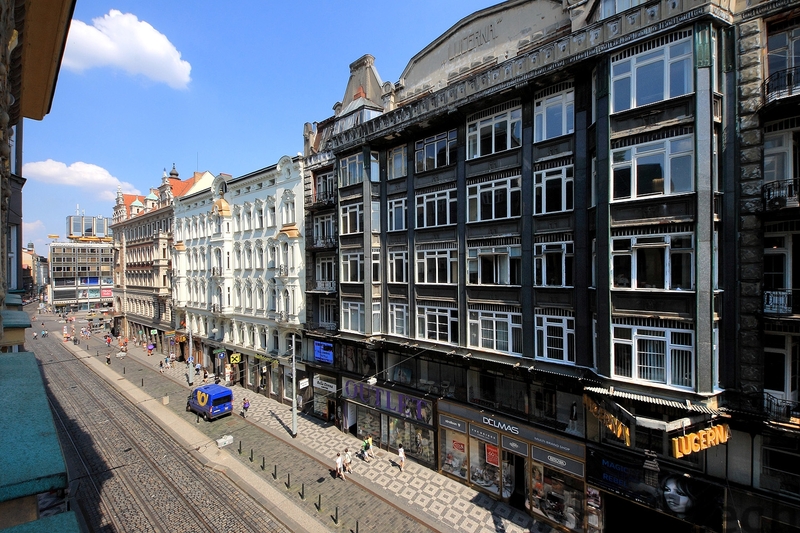 Big advantage of the apartment is its location in the city center, excellent transport links by metro, tram throughout Prague. We recommend a demanding clientele that is looking for a long-term housing in Prague 1, just a few steps from Wenceslas Square, National Museum, Old Town Square, Charles Square or Vinohrad. 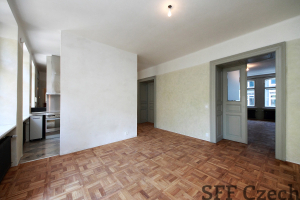 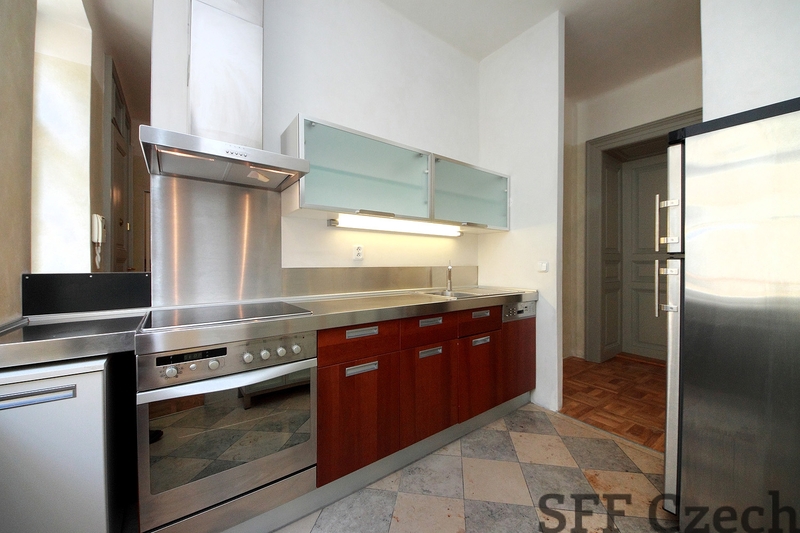 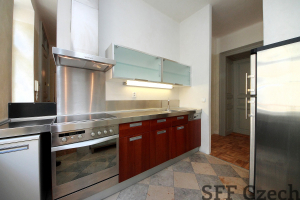 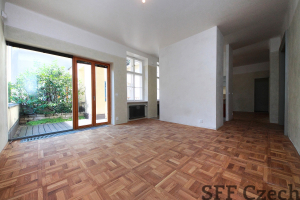 Apartments for rent – Luxurious apartments in Prague.